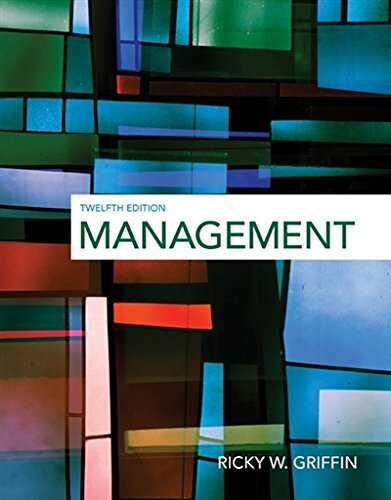 1305501292 -MANAGEMENT, 12E, takes a functional approach, skills-based to the process of management with a focus on active planning, leading, organizing and controlling. Griffin examines today’s emerging management topics, including the impact of technology, importance of a green business environment, ethical challenges, and the need to adapt in changing times. Hundreds of well-researched contemporary examples, from Starbucks to the U.S. Military to The Hunger Games, vividly demonstrate the importance of strong management to any type of organization. MindTap incorporates a suite of new digital resources designed to facilitate and measure student success. Students can synchronously work together in the experiential exercises to create videos, write papers, deliver presentations, and more. Interactive Self Assessments engage students by helping them make personal connections to the content presented in the chapter. Our adaptive learning solution customizes content specifically to student needs, serving up questions, feedback, instruction, and remediation to help them learn the material and prepare for class and exams with confidence.